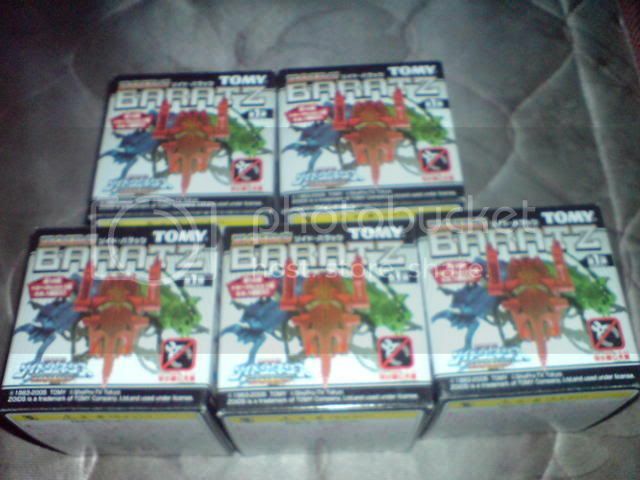 The back part of the the Zoids Graphics 03 - Malder's box. 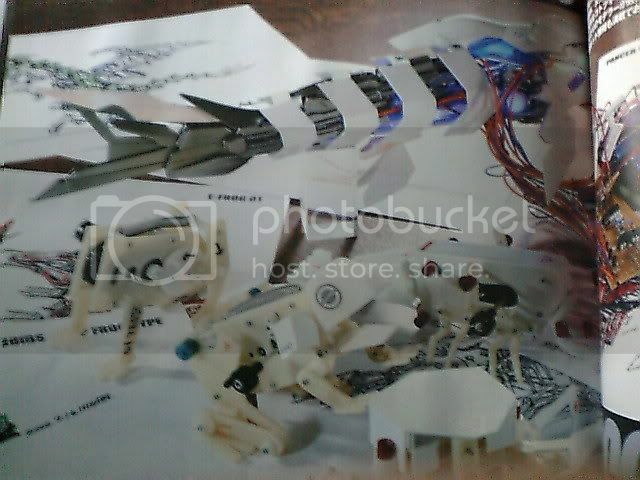 upto now I have'nt seen a built kit of the re issue including the Zoid base diorama. And also hope to see the scans of the book included in the kit. 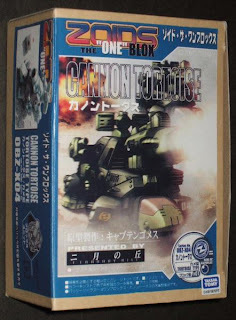 Here are my recent grabs..
Just sharing the pic of OBZ - X04 - Cannon Tortoise that I saw in Yahoo Japan. 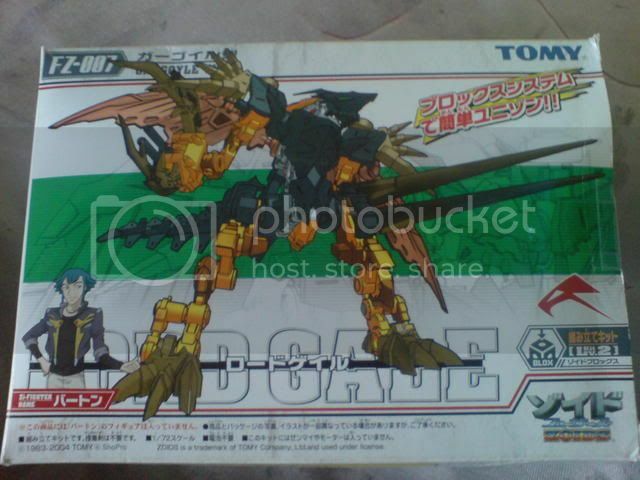 The third kit under the Zoids Graphics line is already out. Malder... 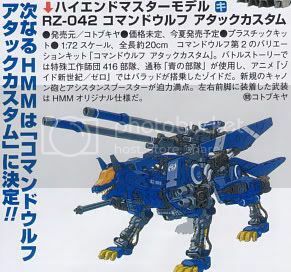 This is a snail type zoid created by the Zenebas Empire. 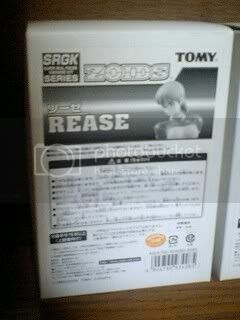 First released way back 1983 and now it is included as the third zoid to be re issuedfor the Zoids Graphics Line. 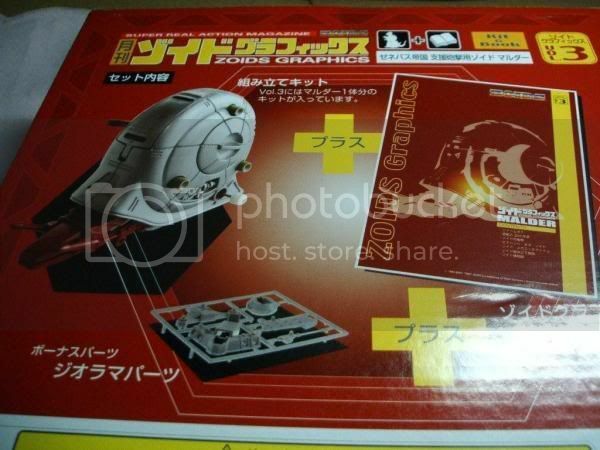 The kit includes a book/magazine with zoidy informations and also sprues for the diorama base and Mader itself. 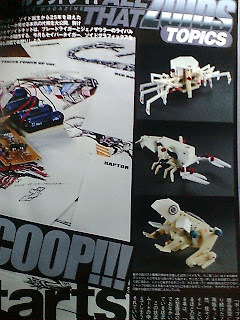 Here are some scans from Dengeki Hobby Magazine May 2008 issue. 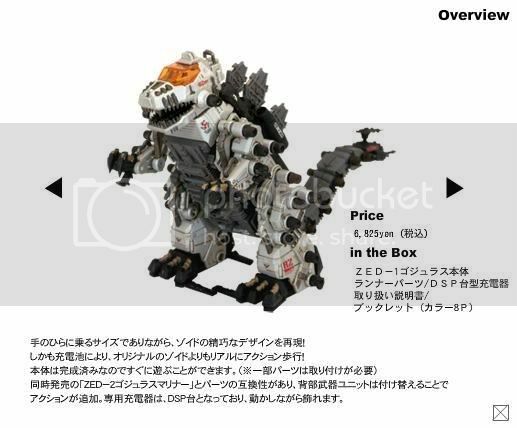 From these pages, it looks like that these are new zoids design. From what i'm seeing there is a frog type, a crawfish type(could be a lobster or any other crustacean that looks like it), a spider type and somewhat a fish type. 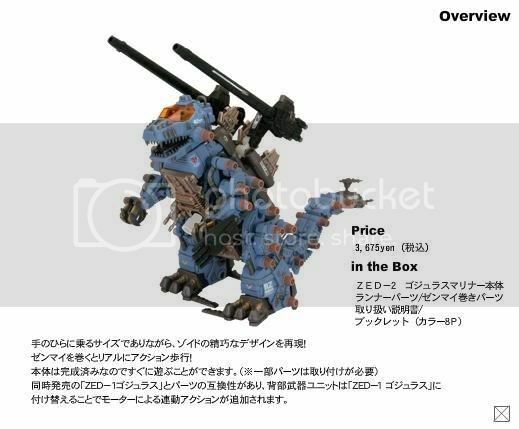 Definitely this is a big news for 2008, almost all zoid fans are wanting new zoid design. 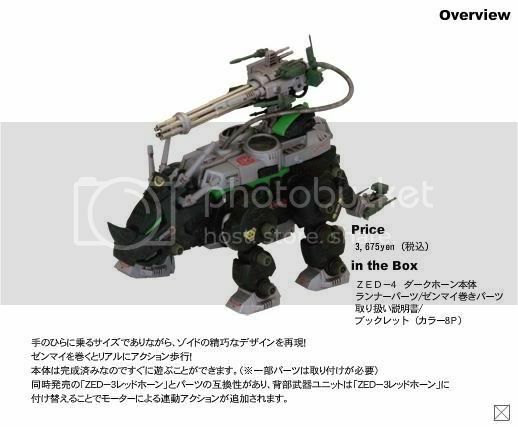 Let us hope that this will push through and we will see new zoids designs soon. 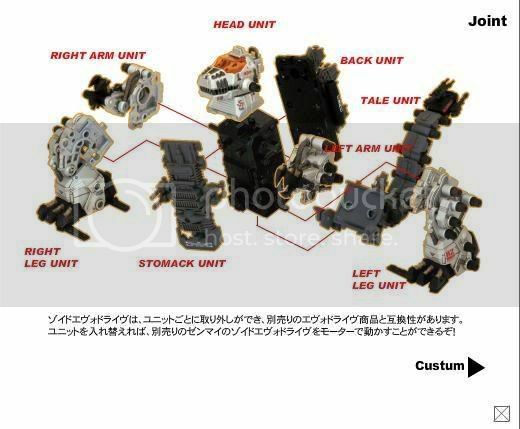 Kotobukiya will be releasing another variant of the Command Wolf, this time it is the Command Wolf AC. No official price yet, as well as the official release date except for the info that it will be release summer(in Japan). 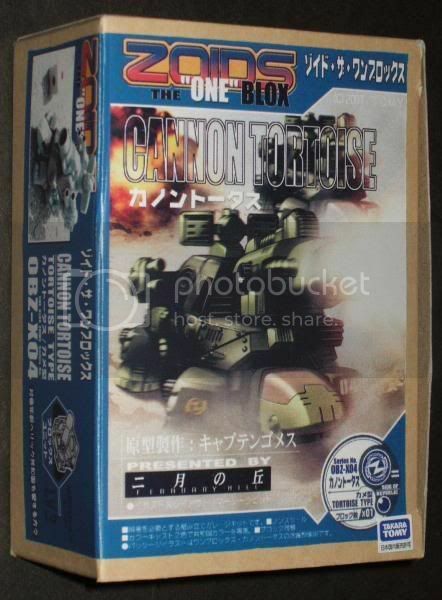 From the picture, I can say that they did a great job on the CP-04. 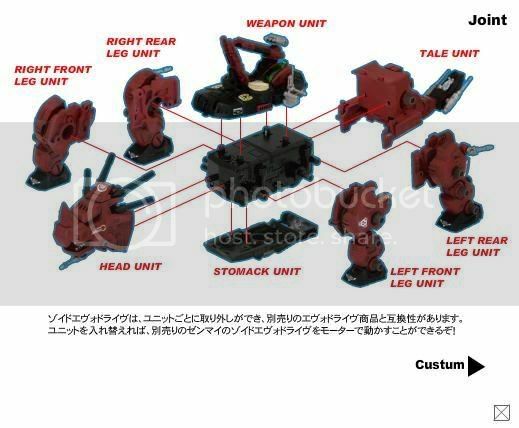 Also I noticed that there are some additional weapons on the front leg. Looking forward to see the prototype or the actual kit. Here is the box art of the One Blox Sea Panther sold at Wonder Festival 2006. 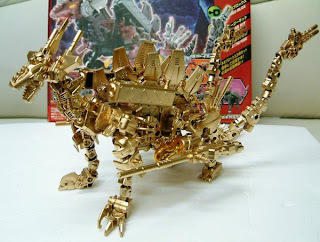 I have seen pictures of the built kit and I can say that this kit is not that impressive. Considering the cost and the quality of the material used for this kit, it is a robout for us zoiders. But a little bit of work and a touch of love will make wonders. 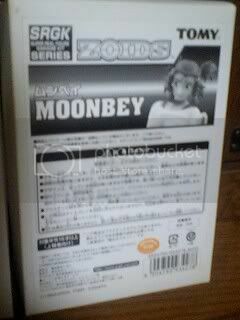 Here is an early promo material for the Z-point Crystal Campaign in Japan way back 2002. 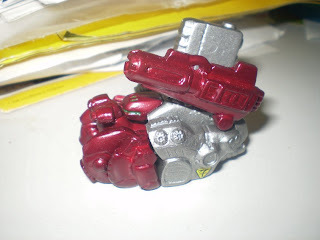 Can't read Japanese but base on what i'm seeing, 100 Z-points are needed for a Crystal Deathsaurer (100 pcs), 60 Z-points for Crystal Redhorn (200 pcs) and 12 Z-points for Crystal Molga (1000 pcs). 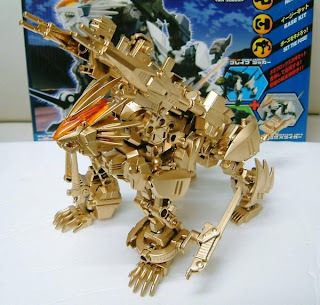 I was browsing yahoo Japan, ang look what i bump into :) golden neo blox.. Very nice eh? These are custom painted neo blox zoids that are allegedly used by a toyshop as store display in Japan. 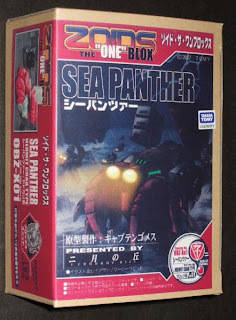 Looking at them, I can say that the finish on these kits was very nice. You can easily mistaken these as official release. 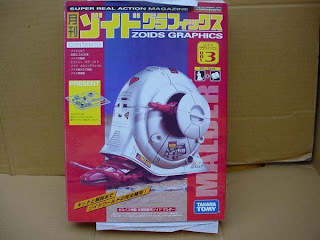 The first kit for this line is the ZED-1 Gojulas. 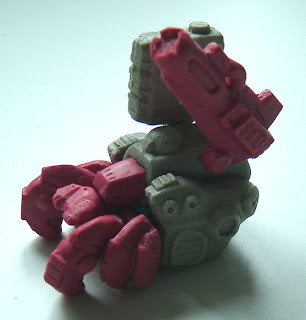 This is a miniature version of the Gojulas using the new battery operated motor. The second kit is the ZED-2 Gojulas Mariner. 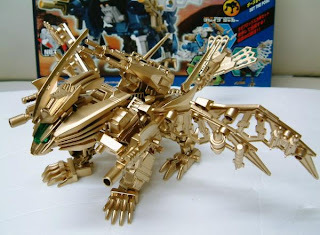 This is a recolor of the first kit in Yuji Kaida's Gojulas Mariner scheme. 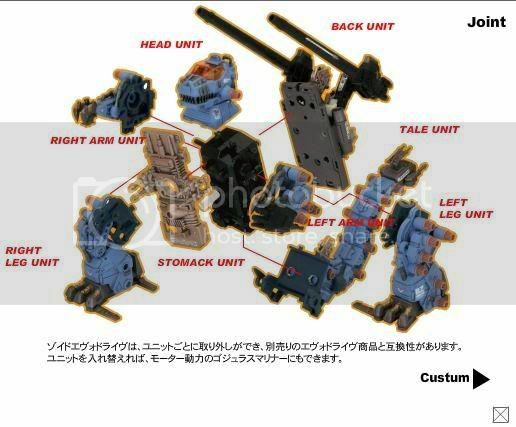 This time this kit uses the wind-up motor and also includes a mini cp-10 as additinal weapon. ZED-3 Redhorn is the third variant using the batery operated motor. 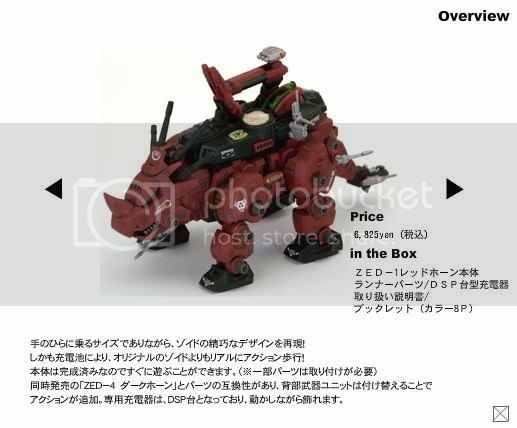 There is also a limited run of mini cp-03 for this kit. 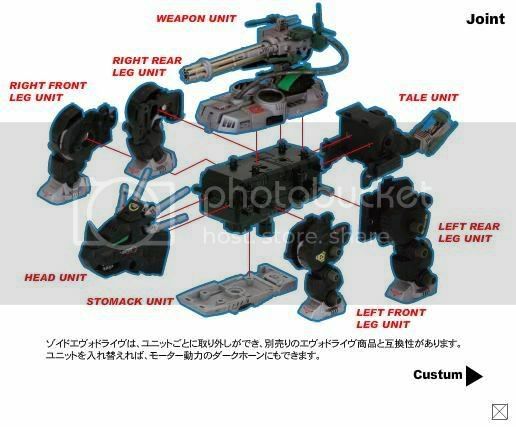 Lastly, ZED-4 Darkhorn, this kit uses the wind-up motor and includes the cp-03 as additional weapon. 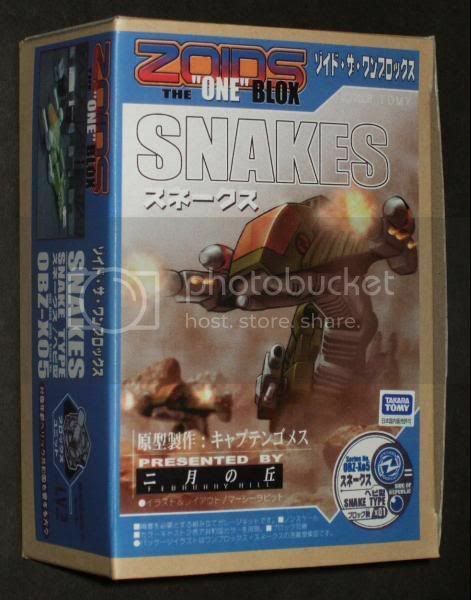 this is an audio cd for zoids fuzors' theme songs. 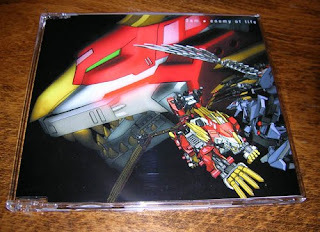 i must say that the cover of this cd is very nicely done. 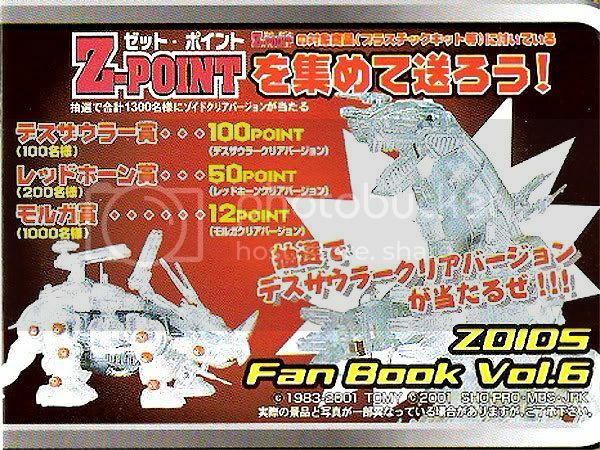 the liger zero phoenix's head on the background plus a mini battle between buster fuhrer and liger zero phoenix is a nice side addition. the cd contains the songs enemy of life and self control. it also includes the minus one if the songs. it also includes a liger zero phoenix collectible card and a booklet with song lyrics. the booklet contains screenshots and fan arts of some fuzors characters. 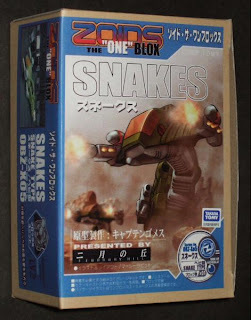 just got this from yahoo japan.. the one blox snake.. this is the fifth in the series.. the first three were sea panther variants and the fourth was the one blox cannon tortoise. recently this kit was displayed in wonder festival (winter) but according to news these are not sold during the event. 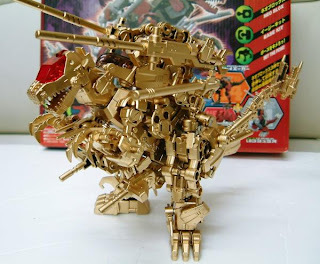 maybe we can expect this to be on sale on the next wonder fest. 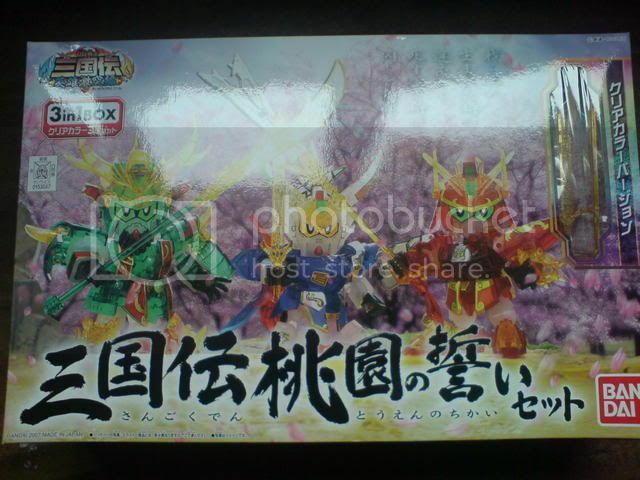 but this one that was seen in yahoo japan might be a limited run from the festival, believe it or not it was sold at 12,010 yen. 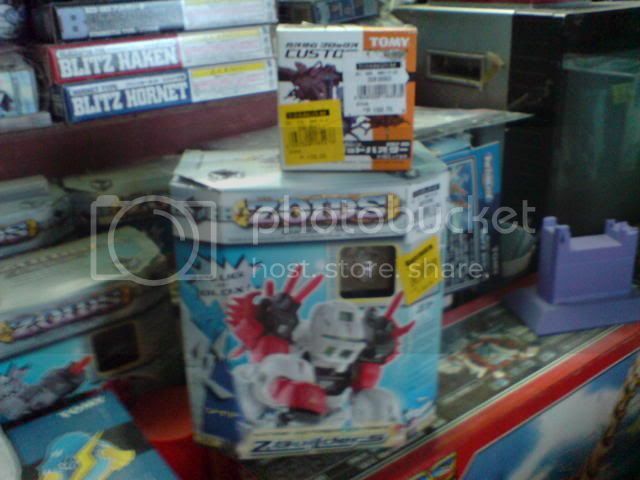 i was checking some zoids stocks at sm sucat last week and look what i found. luckily the staff was kind enough to spare me one copy. this is a genesis promotional card from japan. on the front side murasame versus bio megaraptor. the backgroud graphic is nice, in my opinion it even stands out than the kits. 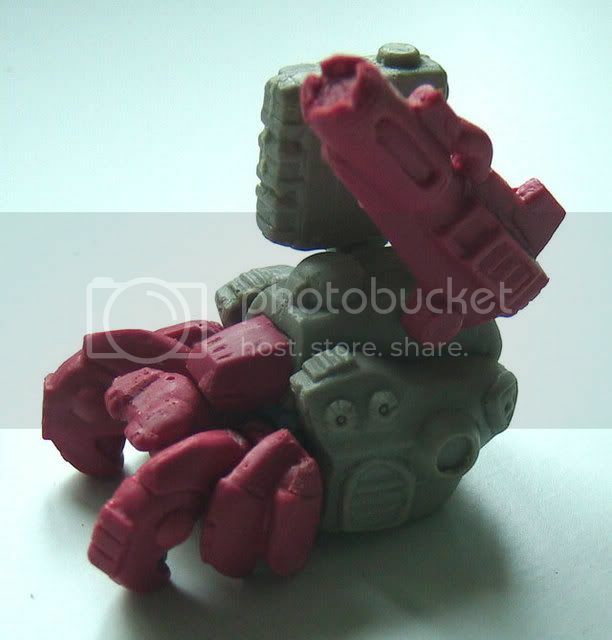 i expect more action pose for the two featured kit.